Landgrave Thomas Colleton was granted 12,000 acres that became known as Cypress Barony (3, XII: 23).
?  The barony passed to son Landgrave Peter Colleton at the death of Landgrave Thomas Colleton (3, XII: 23). 1707  John Gough, Dominick Arthur, and Michael Mahon purchased the property from Landgrave Peter Colleton (3, XII: 23). 1709  The Lords Proprietors granted permission to divide the barony. John Gough received the portion that would become Kensington (3, XII: 23).
?  Francis Gough acquired the property from his father (3, XII: 23). 1740  Francis Gough conveyed to John Coming Ball 670 acres known as Kensington (3, XII: 23).
?  Ball's son Elias Octavus Ball owned Kensington (4, p. 171). 1843  Elias Octavus Ball died (4, p. 171). 1846  Kensington was sold to Dr. John B. Irving (4, p. 171).
?  Irving's grandson Heyward Hamilton Irving owned Kensington (4, p. 181). 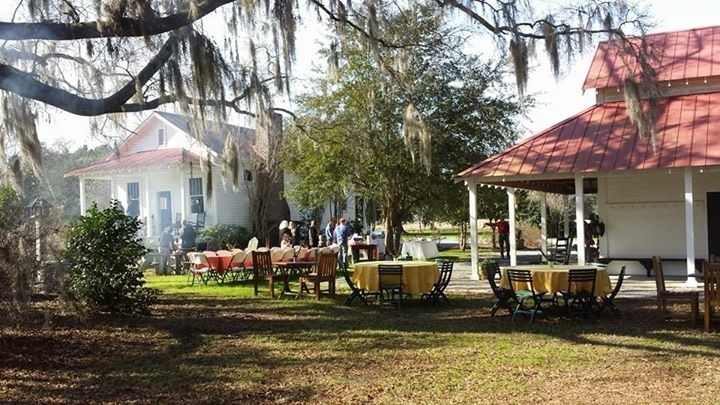 1924  The plantation house was destroyed by fire; only ruins remain. Early 1950s  Thomas Porcher Stoney and his wife Beverly Means DuBose Stoney purchased Kensington. Thomas Stoney was a well respected attorney and Charleston's 53rd mayor (7). 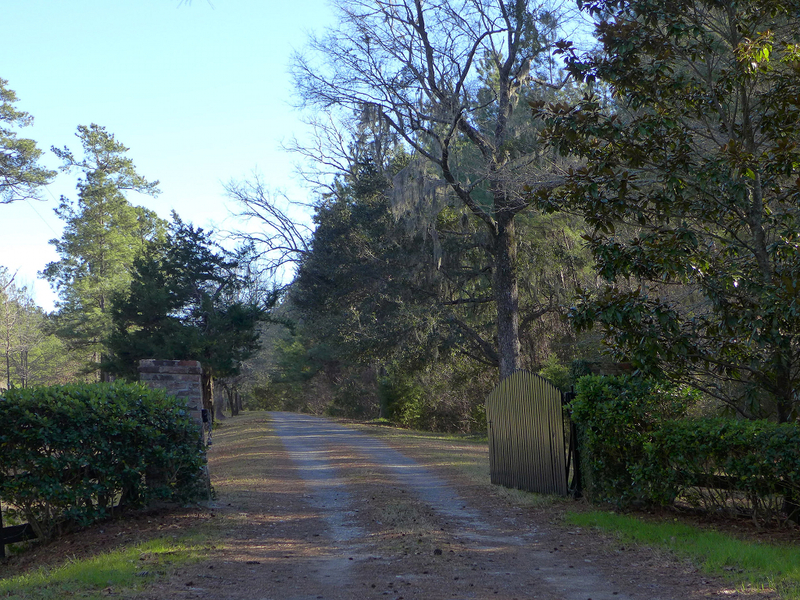 2015  Kensington is owned by Stoney family members with a large tract of the acreage under a conservation easement with the Lowcountry Land Trust (7). Comments  In the slave cemetery, there is a stone marker for Old Peter who was born and died as a servant of the Ball family. 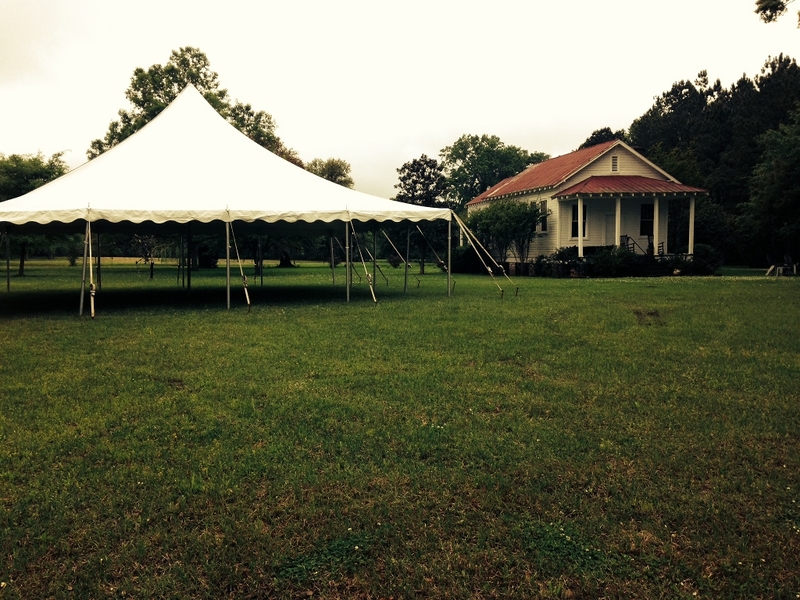 In 1830, a one-story frame overseer's house and a slave cabin were built. There is also a modern brick house on the property (1, p. 8). Information contributed by the Stoney Family.